Agent, they spent three days and climed in various directions. Shaikh Abdallah "bin Jasim of Qatar. 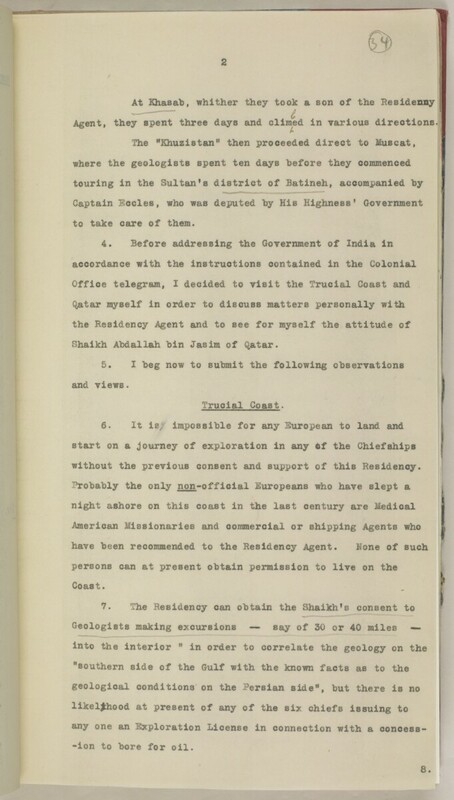 without the previous consent and support of this Residency A diplomatic office of the British Government established in the provinces and regions considered part of, or under the influence of, British India. .
-ion to bore for oil.